The Physicians at Southwest Florida Ankle and Foot Specialists, along with Associates in Medicine and Surgery provide the highest level of care with Kindness and Compassion. Associates in Medicine and Surgery is a group of dedicated doctors specializing in Ankle and Foot Care, Interventional Pain Management, and Internal Medicine. Our practitioners provide the most innovative, comprehensive and effective care focused on eliminating your pain, improving and helping to achieve a pain free lifestyle, and managing your overall health. Our world class surgically trained Ankle and Foot Specialists provide a vast array of surgical and non-surgical treatment options for all of your foot, ankle and leg ailments. Our doctors can treat just about any condition you are suffering from. Whether you have a major injury, fractures, arthritis, infection, diabetic ulcer, skin conditions, bunion deformity, hammertoes, heel pain or simply an ingrown toenail, our doctors are here to take care of you. 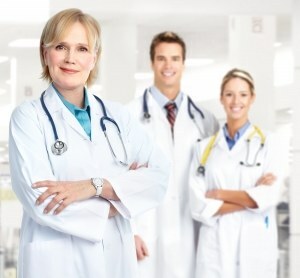 Our doctors have many years of clinical experience in their field with an outstanding reputation in Southwest Florida. Our physicians actively take call and provide 24/7 consultation and emergency care through our the local hospitals in Southwest Florida. We are on staff at Lee Memorial Health System Hospitals, NCH and North Collier Hospitals, Physician Regional Medical Center in Pine Ridge and Collier Blvd, Lehigh Acres Regional Medical Center and Charlotte Regional Hospital. 17 Locations in Southwest Florida. For more info CLICK HERE. Our interventional pain management specialists provide world class care for all types of muscle-skeletal pain, arthritis, back pain, spine care, tendonitis, tendon injuries and neuropathy. Between our Pain Management physicians and their staff they stop at nothing to provide the most comprehensive assessment and subsequent treatment of all aches and pains with emphasis on getting you back to the joy of living as quickly and a safely as possible. We possess some of the most advanced technology in the industry when it comes to diagnosing, and treating pain. From full body X-ray, Fluoroscopy, extremity MRI, the latest and most advanced Stryker RFA (Radio Frequency Ablation), Upper and Lower extremity Nerve Conduction and Electromyography, and anything in between. Whether your knee is painful and you wish to avoid surgery, you have a bad case of lower back pain, an old shoulder injury has come back haunt you, or even chronic headaches. All of these issues can be diagnosed and managed by our Pain Management group. For more info CLICK HERE. Our Internal Medicine and Family Medicine practice provides comprehensive care for your family, and your own overall health and aids in the management of diabetes, hypertension, the common cold or any other chronic and acute health conditions you may be suffering from. With Locations in Lehigh Acres, and Estero, FL our Internal Medicine, and Family Practice covers much of SWFL and its residents and aims to provide nothing short of exceptional care to you and your family. Our world class doctors’ high standard of care is complemented by availability of a full array of laboratory and diagnostic testing. Most of the diagnostic testing is provided conveniently near you in one of our 18 office locations. We provide digital x-rays, ultrasound, venous and arterial duplex doppler, Electromyogram and Nerve Conduction Study (EMG and NCV), and Magnetic Resonance Imaging (MRI). What makes us different is our highest level of personal care, kindness and compassion. At SWFL Ankle and Foot Care, and Associates in Medicine and Surgery we believe that your health deserves the best care. We offer same day appointments and will see walk-ins. Our Group accepts medicare, private insurance, HMOs, workers compensation and self pay. Call us at 239-481-7000, or CLICK HERE to book your appointment now! for continually updated content from our amazing Physicians and Staff.